For almost 17 years after Toyota ceased production of the Supra, the Japanese brand that once captured the attentions of younger consumers by offering more affordable sports cars became known as the most boring brand in the country. The stark difference from the 90’s and 2000’s were apparent as the lineup became primarily geared toward consumer vehicles and looking to the future with the Toyota Prius. It wasn’t until around 2017 that hope was rekindled within the car community, and that there were signs of exciting cars coming on the horizon. 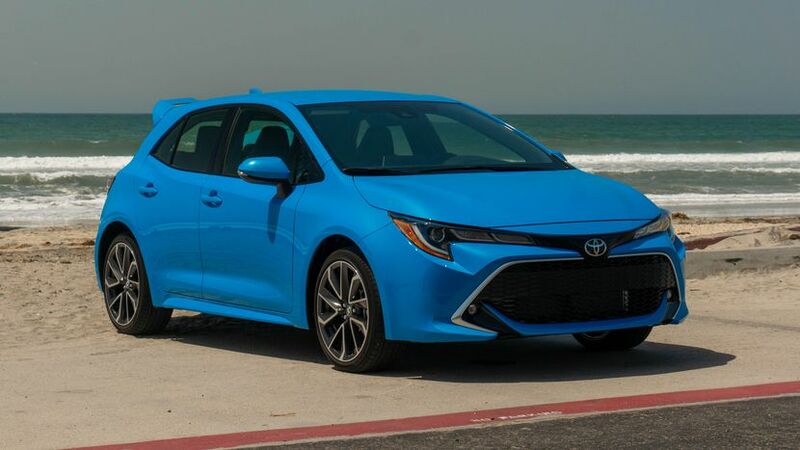 When Scion closed it’s doors, the GT86 and Corolla iM, which is now the Corolla hatchback, joined the Toyota lineup in the United States ushering in a significant change for the brand, not only when it came to performance, but also appearance. This all really begins in the fall of 2017 when the completely redesigned Camry started to hit showrooms across the country. The new XSE V6 trim would offer 301 hp with paddle shifters to go along with an optional two-toned exterior and red leather sports seats. 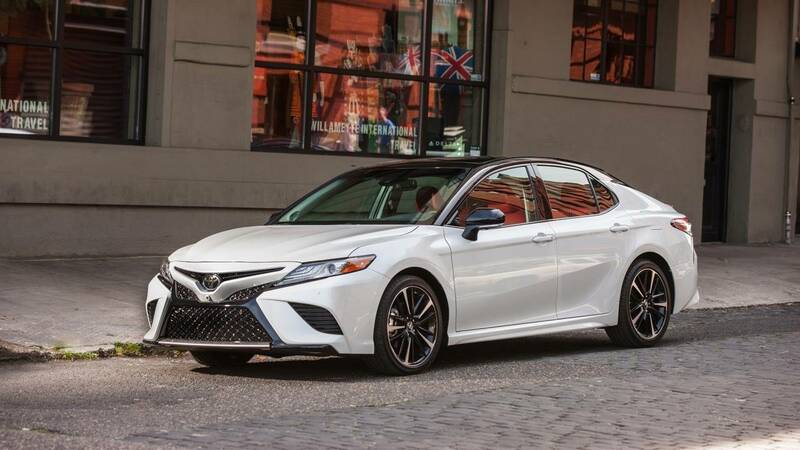 Toyota lowered the roof which widened the interior, increasing shoulder room and giving the Camry more of a sports sedan feel rather than being a mid-size four door family car. Not present on most vehicles in the Toyota lineup, an aggressive black mesh grille added to the sporty appeal, which is something we hadn’t seen in many years. And also hidden in the fine print, an optional 360 degree surround view camera was offered, making the Camry one of the first sedans under $40k to have this feature. So not only is this the beginning of a new age for Toyota when it comes to performance, but technological advancements inside the cabin of their vehicles are slowly becoming present. Then on the last week of March at the 2018 New York Auto Show, Toyota unveils their redesigned, rugged, and masculine RAV4, immediately drawing attention from automotive journalists. This crossover that was once your average family hauler, now takes on the appearance of a Jeep with square wheel arches but also has subtle design cues taken from Lexus as well. The new RAV4 has received some high praise over the last 6-8 months as some have crowned it the best crossover in it’s segment, which is arguably a very accurate statement when you look at the competitors. What’s setting Toyota and some Japanese automotive brands apart from the rest is that they’re getting creative and edgy with designs, whereas the Americans and even some German brands are becoming far too conservative in a time when innovation and change is being welcomed with open arms. 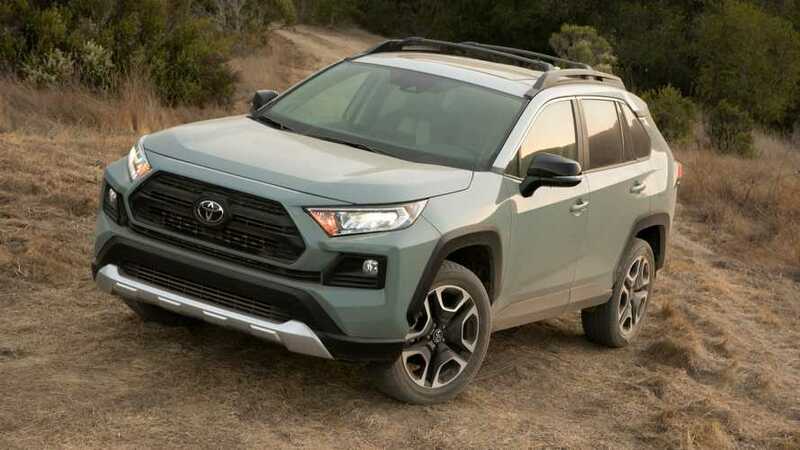 The RAV4 now looks like it’s the most off-road capable ever in it’s history, and with a variety of different trims like the Adventure and XSE hybrid, fun and higher quality appearances is the theme moving forward. But also, they’re staying relevant during the changes in consumer demands as performance and luxury are two aspects that car buyers want, at least for the foreseeable future. A few minutes earlier, the all new Corolla Hatchback was unveiled intriguing many fans of the manual transmission as it’s optional on the 2019 model. 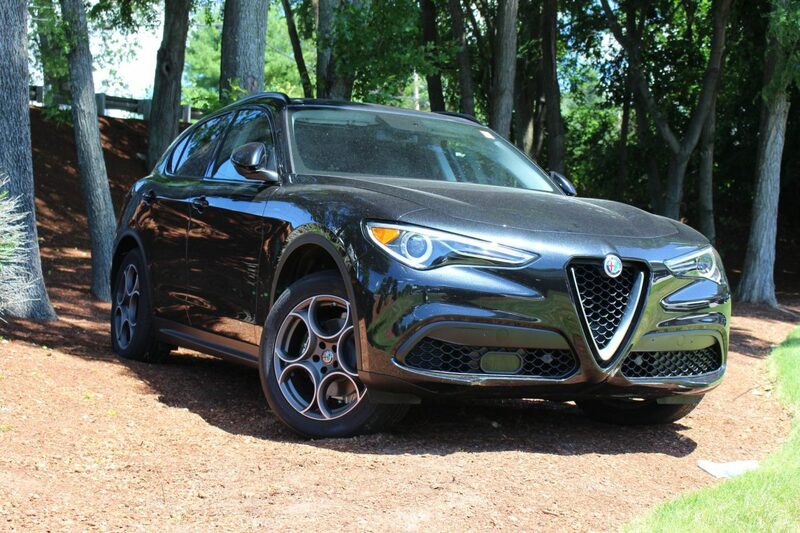 While the small 2 liter four cylinder engine that puts out 168 hp and 151 lb ft of torque isn’t exciting many younger drivers, it is however a throwback to the Japanese hatchbacks of the 90’s with a twist of modern features like 18″ alloy wheels, leather trimmed sport seats, and apple car play and Amazon Alexa compatibility on the XSE trim. While the Corolla hatchback may not be the most exciting car that Toyota has added in the last 2-3 years, they’re at least trying to appeal to car enthusiasts of all ages and that deserves some admiration. This all leads us to 2019 and the new Toyota Supra. Did they really need BMW’s help to bring back the iconic sports car? Absolutely not. In fact, Toyota is more than capable of tackling this project on their own. However from recent history, they collaborated with Subaru to create the GT86, so it’s not really surprising that they’d look to a German manufacturer to produce the 2020 Supra. Personally, I think Toyota has taken far too much criticism over the last few weeks, and car enthusiasts should take into consideration where this brand was just a mere 5 years ago. Not many people can honestly claim they foresaw the significant changes the brand was going through, and with rumors of a new MR2 and Celica possibly being on the horizon, car lovers should embrace Toyota for what they’re doing in a time when rivals like Ford are getting rid of sedans and hatchbacks. At the end of the day judgment should be reserved until track tests and real life driving reviews begin to get released by automotive journalists. After we see how the new Supra performs, then criticism, skepticism, and disapproval can be voiced. 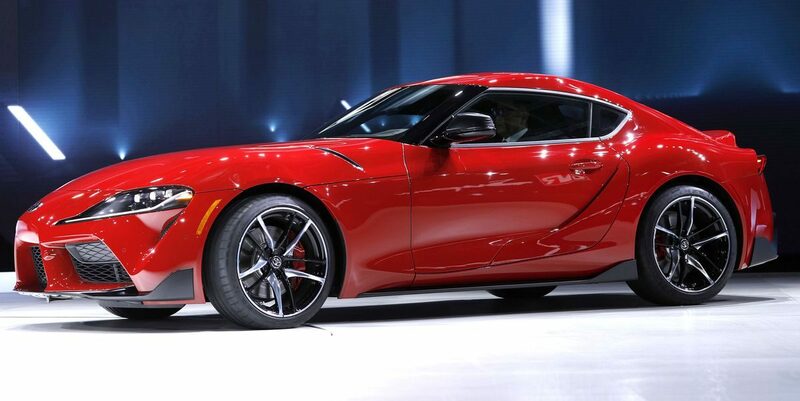 Author Mike CerraPosted on January 23, 2019 January 23, 2019 Categories UncategorizedTags 2020 Toyota Supra, Audi, Automotive, Automotive World, Autos, BMW, Cadillac, Cars, Chevrolet, Ford, Honda, Jaguar, Jeep, Lexus, Toyota, Toyota Camry, Toyota RAV4, Toyota SupraLeave a comment on Is Toyota The Most Unappreciated Brand Right Now? Without feeding into the speculation and unknowns of the future as we’re one year away from a new decade, crossovers have enjoyed a handful of successful years. All automotive brands are moving in the direction of SUV’s ranging from small to large, economical to sporty, and now hybrid and electric. For growth to continue in this segment, adding new models and changing entire lineups isn’t necessarily the answer as consumer demands are subject to change through trends and even economic and financial climates. Generally speaking, crossovers weakest spot is their average fuel economy which could easily get exposed should there be a recession, which seems to be the buzzword for the early part of 2019. Let’s delve into why the all new 2019 Lexus UX 250h is not only the future, but also the reason why crossovers could remain being hot items in any economy. The Toyota and Honda families have always seemed to be further ahead of the curve than most of their competitors. 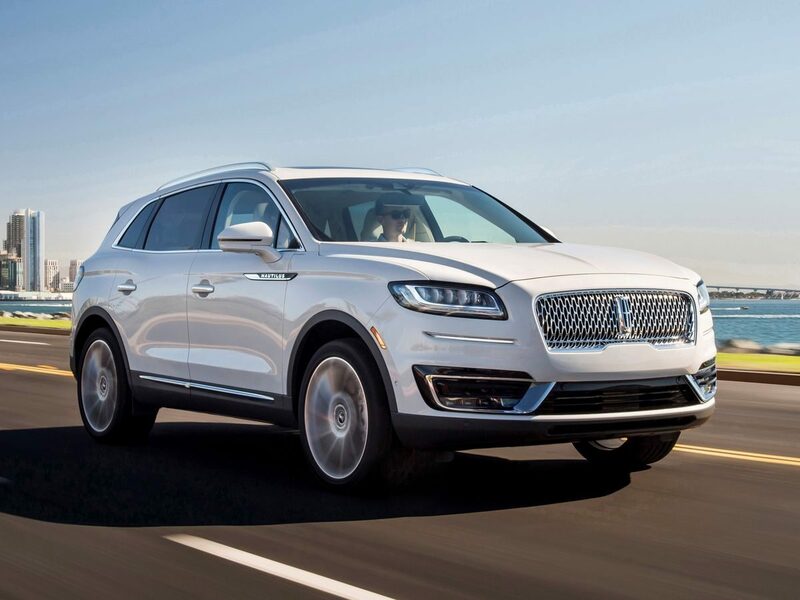 Throughout the years they’ve produced and sold hybrid models, and that technology is now starting to trickle down to more affordable luxury vehicles. 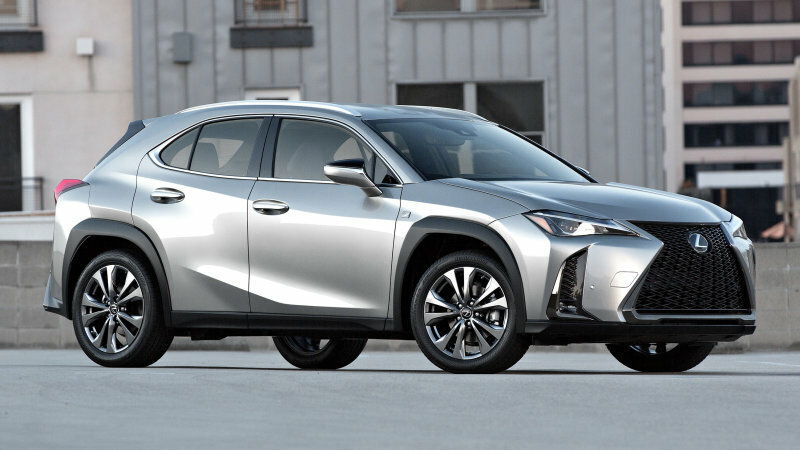 Lexus is no stranger to offering hybrid crossovers, and with the UX 250h now beginning to arrive at dealerships, the subsidiary of Toyota is ready to change the game in more ways than one. The Lexus UX 250h has a base price of $34k, which is more than reasonable and would be considered right around the average cost of a new car in the United States. Primarily aimed at older millennials that most likely live in urban areas, this small crossover offers versatility, luxury, and most importantly practicality. Some of the standard features you’ll find inside is Apple CarPlay and Amazon Alexa compatibility, dual zone climate control, a push button start and stop, and a list of safety technology that includes pedestrian detection, lane keeping assist, and road sign recognition to name a few. Android Auto is not available because Lexus says 80% of their consumers use Apple products, and didn’t see the need to spend any money on a feature that a small percentage of their buyers would find relevant. For performance the UX 250h gets a 2.0L 4 cylinder engine that gets 176 hp. This crossover is by no means fast as you can expect a 0-60 time of 8.6 seconds and a top speed of 110 mph. Fuel efficiency is the real selling point as the 250h will receive 41 mpg in the city and 38 mpg on the highway. What’s also rather interesting about this vehicle is that Lexus decided to only offer AWD with the hybrid model, as the UX 200 will only be available with front wheel drive. Hybrids will always be looked at as economical, and as just mentioned, a combined fuel efficiency of 39 mpg is going to attract buyers who may not want to drive a Chevy Volt, Honda Insight, or even a Toyota Prius. With an affordable option and the appeal of a crossover, many who seek vehicles that are powered by alternative energy and are not solely reliant on gas may gravitate towards the UX 250h, especially since it comes with AWD. For rear cargo space, this crossover will get 17 cubic ft of rear cargo room which is kind of small, but slightly bigger than what most sedans offer. I’m not going to say that the 2019 Lexus UX 250h is the answer or necessarily the blueprint for the future crossover. There’s a number of issues that consumers will find, whether that be a lack of performance or it not offering a real luxury car experience that competitors may be offering. However, I will say that this crossover is laying the foundation for other brands to build off of. There’s not many options in the entry level luxury market that offers hybrid technology, especially in this segment and price range. Lexus is taking a huge risk, however its list of standard features and fuel efficiency might be a enough to make the UX a minor success in the United States. Will Another Economic Recession End The Crossover Era? One of the fears and speculations of what 2019 will bring is the growing angst that an economic recession is on the horizon. Nothing is set in stone and experts aren’t exactly sure if and when another downturn in the economy will occur, but it does make for good conversation in the automotive industry. For the last six years, the United States has experienced some very lucrative times, especially on both the East and West coasts. With that it’s brought demand for bigger vehicles, including crossovers which now dominate the roads and sales figures. However, are crossovers doomed to fail should there be another recession like 2008, and have some brands set themselves up to feel a lot of pain when bad times return? As the saying goes, “If you fail to learn from the past, you’re doomed to repeat it”, and that’s exactly where we are as we near the end of this decade. 2008 played a major role in prominent American brands being killed off by manufacturers in Detroit. Hummer, Pontiac, Oldsmobile, Saturn, Plymouth, and Mercury would all eventually suffer the same fate with reasons for their demise differing. Hummer is the one brand that stands out because when times were good everyone wanted one. The minute the stock market crashed, demand for the outrageously large and gas guzzling SUVs withered, causing not only the company to close its doors, but also forcing other brands to downsize. In 2019, we’re here once again at a crossroads, having not learned anything from ten years ago. Brands all across the world have added crossovers to their lineups and for Chevy and Ford, basically the only vehicles being offered as they’re killing off sedans and hatchbacks. The Germans on the other hand continue to produce luxury sedans, and in fact Mercedes Benz is adding the very compact A-Class to their US market lineup. If anything, luxury manufacturers have covered all the bases, and if demand wanes in one segment, they have vehicles in place to feed consumer demand for whatever the next trend in buying behavior is. You should never underestimate the planning and foresight of automotive manufacturers as they’re usually ahead of the curve when it comes to detecting high and lows in the economy. One way to battle any volatility in the markets and extreme shifts in volume of sales in the automotive industry is the new wave of compact crossover vehicles that resemble elevated cars more than SUVs. 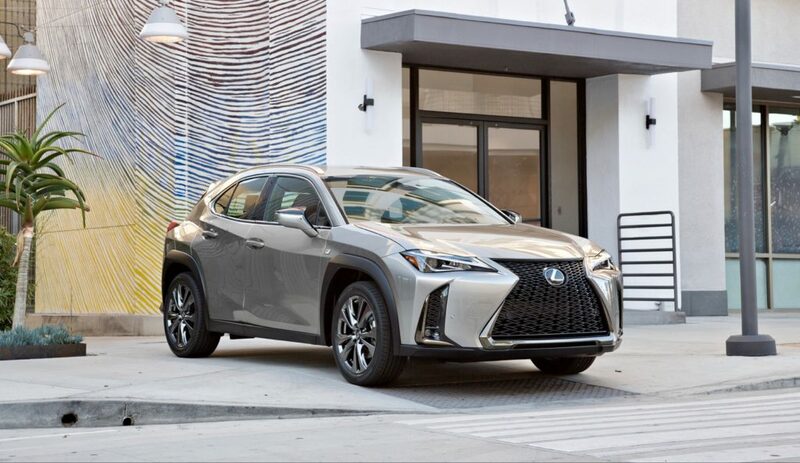 The all new 2019 Lexus UX is the most recent arrival in this segment that combines practicality, luxury, and affordability. As a complete package, this vehicle will certainly be a survivor in the Lexus lineup should there be rough times ahead for one important reason. It’s fuel efficient. At a starting price of around $34k, this compact crossover is available with hybrid technology, which is going to give you 41 mpg in the city and 38 mpg on the highway. Also by opting for the UX 250h, you’re getting AWD whereas with the fully gas powered engine, front wheel drive is the only drivetrain available. For rear cargo space, the UX will get close to 22 cubic ft which is certainly better than most sedans. Other new arrivals this year to the compact crossover segment were the Nissan Kicks and Hyundai Kona. These vehicles offer crossover-like tendencies, practicality, and for the Kona, AWD. These are the vehicles that have the best chance of surviving whatever adverse times lie ahead. Can the same be said for their bigger siblings? One thing is for sure, Americans didn’t get intimidated ten years ago and ran away from the Honda CR-V and Toyota RAV4, which are still priced reasonably for most consumers. It’s the luxury brands and even Ford and Chevy that need to be concerned moving forward. American crossovers just aren’t on par with their Japanese counterparts when it comes to interior quality, and if consumers are complaining about that now in a good economy, what will they say when they become more frugal and start looking for the most value for the price? On top of that, they got rid of all their sedans and hatchbacks which now puts Ford and Chevy in a difficult spot because they have no game plan if consumers don’t want what they’re producing. Fuel efficiency then becomes a major factor, and generally speaking, crossovers aren’t exactly the most economical. Consumers start downsizing and for the new economic climate, it’s either sedans and hatchbacks or compact crossovers. 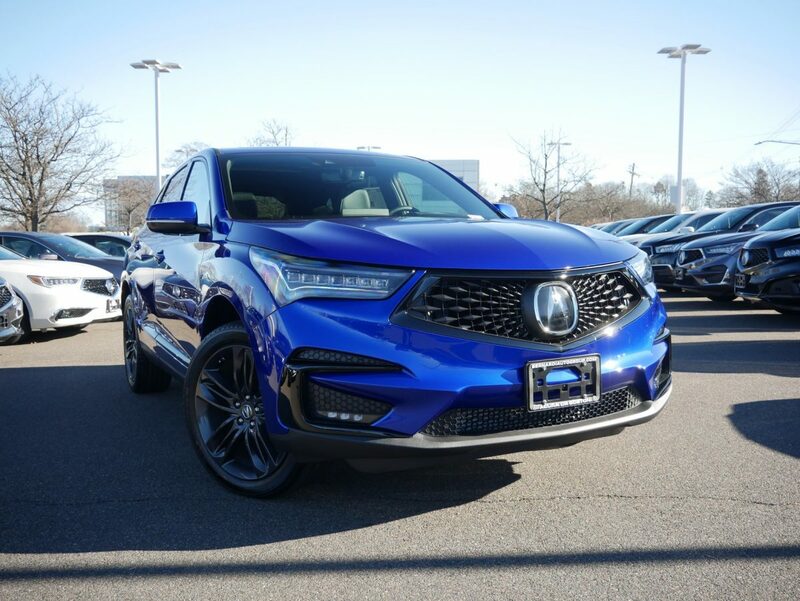 Recently I had reviewed the redesigned 2019 Acura RDX which I thoroughly enjoyed. However, it’s the poor fuel economy that concerns me, as with AWD you can expect 21 mpg in the city and 27 mpg on the highway. Those aren’t exactly the best numbers if people start cutting costs, which is why for the next recession, I don’t necessarily think the size of the vehicle matters, but what’s underneath the hood that will make the difference. The Honda and Toyota families are further ahead of the curve than most automotive brands today because of their advancements in hybrid technology. A hybrid RAV4 and Lexus UX could become hot commodities as they’ll be economical and practical. 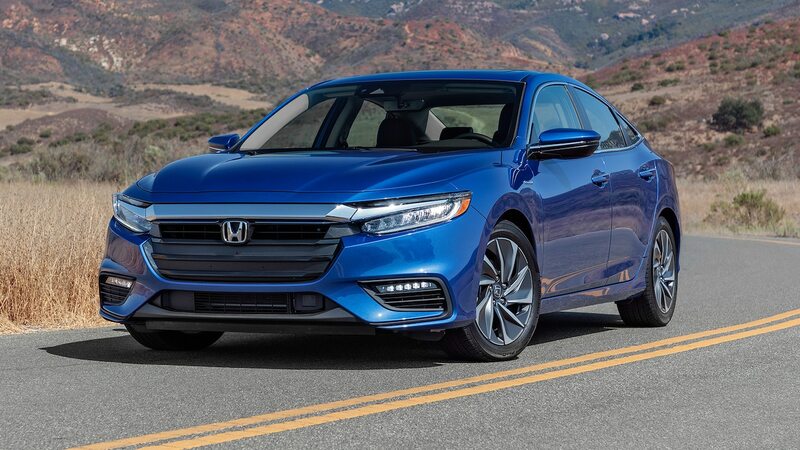 Honda re-introduced the Insight which is already on pace to have its best year in sales since 2010 and generally speaking the rest of the lineup is very fuel efficient. This is why both brands survived several recessions while Ford and GM suffered greatly. If manufacturers don’t have hybrid crossovers in their lineups by the time the next recession hits, that will be the deciding factor in how long this trend of bigger vehicles continues. That’s when consumers downsize to four door passenger cars, and until the economy gets back on its feet, crossovers may not experience the same success they have most of this decade. At the end of the day, this is purely speculation. However, there’s been enough reasons why this should be taken seriously. All good things come to an end, the question now is how much longer do things remain the same before major adjustments to a new economic climate must be made? Author Mike CerraPosted on December 22, 2018 Categories Automotive WorldTags Audi, Automotive, Automotive World, Autos, BMW, Boston, Buick, Cars, Chevrolet, Crossover, Crossover SUV, Ford, Honda, Jaguar, Jeep, Lexus, Lexus UX 250, Maserati, Mercedes Benz, PorscheLeave a comment on Will Another Economic Recession End The Crossover Era? If you look back at the luxury sedan market for the last 20 years, there’s been one absolute that has stood the test of time and the ups and downs of the economy. The German auto manufacturers own the compact, mid-size, and large luxury sedan segments, and that year after year it’s BMW, Audi, and Mercedes Benz who are fighting for the top spot. Sure, there have been a few brands that have come along to get our hopes up that maybe an Italian, British, or Swedish manufacturer would strike some fear in the hearts of the Germans, but they always fall short. But in 2019, there’s a Korean brand that goes by the name of Genesis that’s ready to compete with the perennial automotive powerhouses. With their new sedan, the G70, this small luxury brand can’t be overlooked heading into the next decade. What makes the Genesis G70 different from the Alfa Romeo Giulia, Maserati Ghibli, and Jaguar XE? 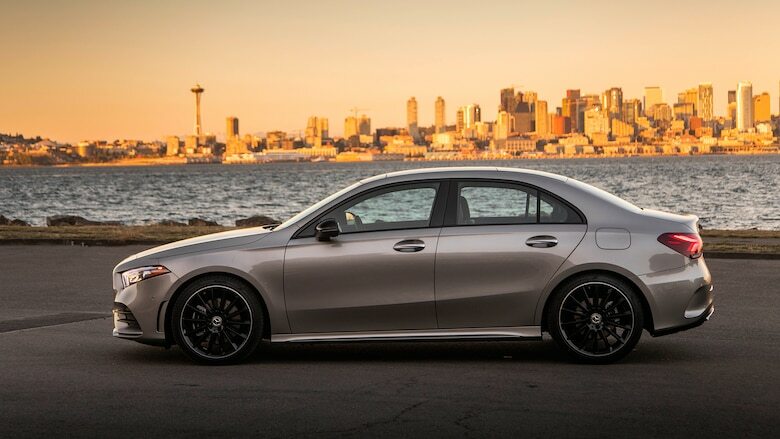 It’s pricing, performance, and luxury. With a perfect balance of all three ingredients, Genesis is a legitimate threat to German dominance in the luxury sedan segment. Despite many in the industry writing off four door passenger cars, this is the perfect time for an up and coming brand to make some noise, and Genesis has certainly learned from past mistakes by Alfa Romeo and Jaguar. The Genesis G70 starts just under $35k, putting it in the same price range as the BMW 320i and is close to being $2k less than a base model Audi A4. Off the bat, its main competitors are either inferior when it comes to base model performance, or too expensive. The Mercedes Benz C-Class starts above $40k and you can expect a similar price tag if your upgrade to a BMW 330i. 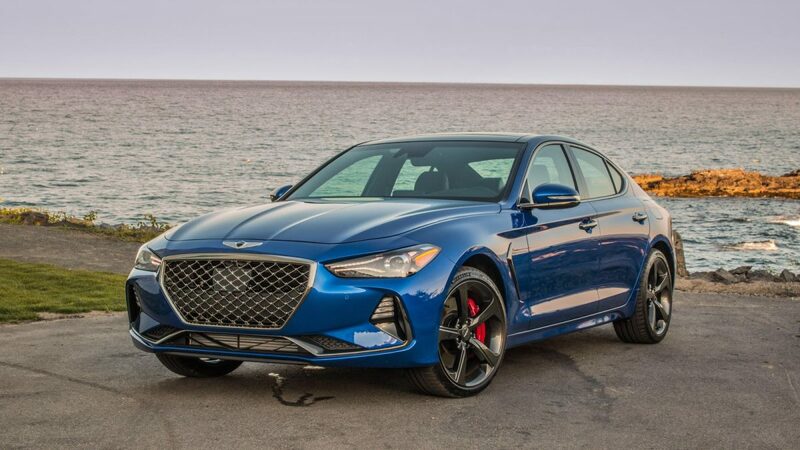 By the time you reach $45k, the Genesis G70 3.3T becomes an option, offering 365 hp which is a significant amount of power for the price that many just aren’t offering. 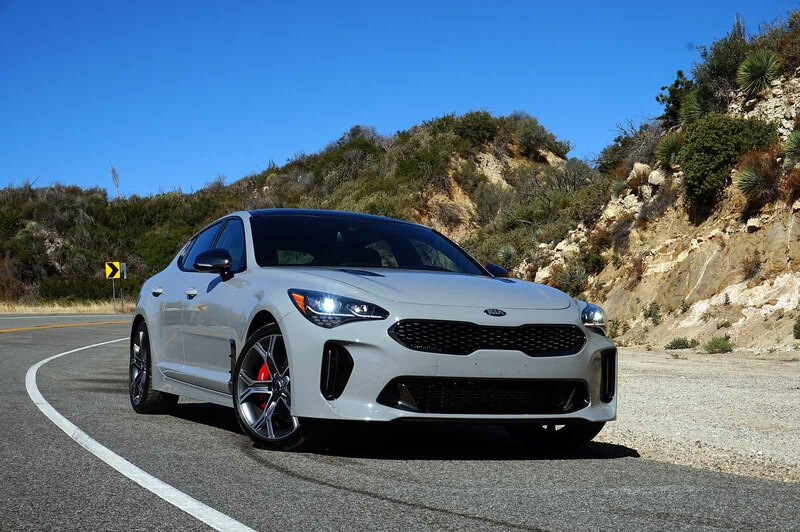 As previously mentioned, the G70 gets an optional 3.3 liter twin turbocharged V6 engine that will also be found in the Kia Stinger GT. However, at base price, a 2 liter turbocharged four cylinder that puts out 252 hp will turn heads because it’s paired with an optional manual transmission along with RWD. Forgetting about 0-60 times for a second, what Genesis is offering could easily be defined as being rare in the current automotive climate. While brands are moving away from manuals and embracing paddle shifters, the Korean luxury brand is tailoring to a niche market that’s been neglected. Now obviously enthusiasts would prefer a stick with the V6, but fundamentally from base to top trim this car is a compromise to appease a percentage of the market that’s gotten marginalized over the years. From 0-60 mph the G70 can achieve that speed in about 4.5 seconds with the twin turbocharged V6. Let’s put this into perspective for a minute. Fully specced out, you’re looking at a price of $52k which would also include an AWD drivetrain, Nappa leather interior, heated and ventilated front seats, Apple CarPlay and Android Auto, a 360 degree top view camera, a head up display, and three level heated seats for passengers in the back. If you decide a base model 3.3t is enough, the amount of performance you’re getting at $43k – $46k, you’re not going to find from German competitors. The Audi S4 starts at $50k and the Mercedes Benz C43’s base price is just over $52k. This is one of the minor weak spots for the Genesis G70 as brand loyalists to German manufacturers are unlikely to see the G70 as a superior luxury car to a Mercedes Benz C300. The infotainment system and digital information display aren’t as refined or thorough as what you’d find in an Audi, and that might turn some people off to the Genesis brand. 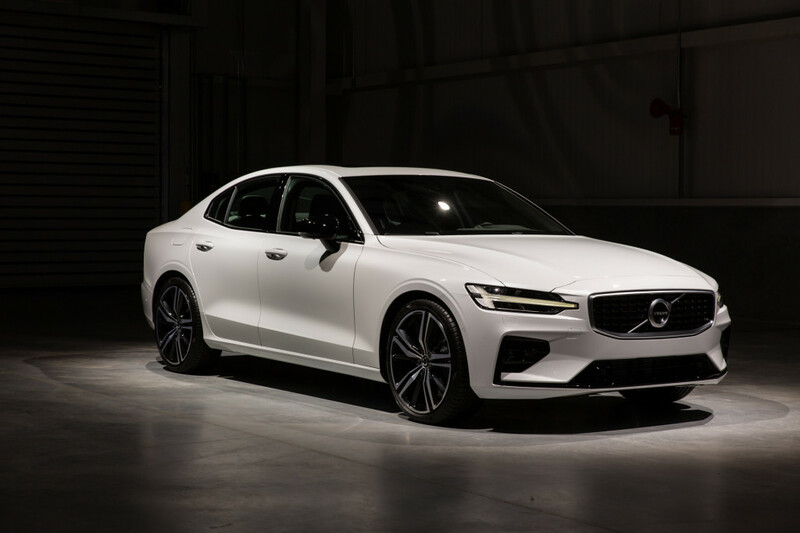 But as I mentioned before the G70 is a compromise, and while there are certain aspects that wouldn’t be considered on par with the Germans, styling and performance are enough to make this sports sedan a very intriguing option for consumers who want to stand out from the crowd. Genesis is a brand for people who want to stand out and aren’t effected by the badge on the front grille. German luxury brands have a certain ambience, but at $40k – $50k for a new luxury sedan, you’re not going to find the same level of compromise that the G70 offers. With Audi, Mercedes Benz, and BMW you’re getting luxury, but not necessarily performance. On the flip side you’re sacrificing some luxury aspects by going with Genesis, but when it comes to horsepower and 0-60 times, you have a car that will surprise many drivers on the road. There’s many in the automotive industry who feel that the luxury sedan segment has become stale. The Genesis G70 is ready to change that. Is Mercedes Benz Becoming An “Old Person” Brand Again? Out of the five prominent German brands, Mercedes Benz could be described as being a “tweener”, where it’s not exactly a manufacturer that attracts younger consumers, but it’s not a brand for retirees either. When looking at VW, Audi, and BMW, there’s a very strong following of millennials who are being introduced to each brand thanks to the Volkswagen GTI, Audi S3/S4, and BMW E36/E46/E92 M3’s. 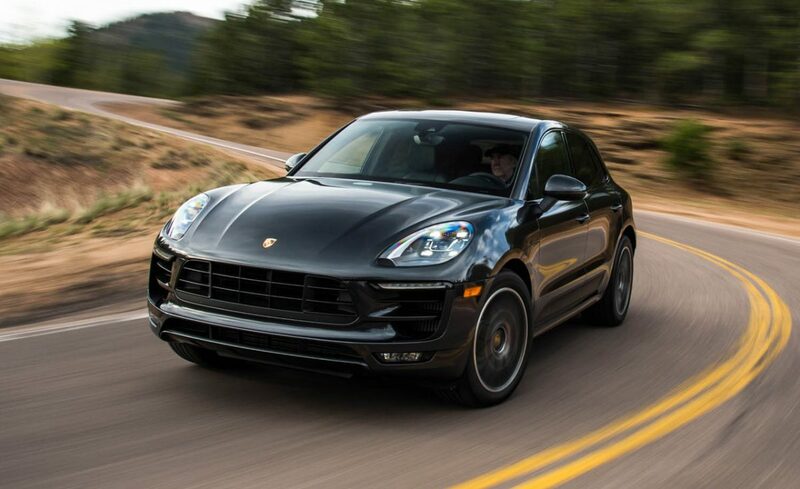 Porsche is in a league of it’s own, as the 911 has always been a sports car that’s pinned to the bedroom walls of car enthusiasts who dream of owning an amazing driver’s car. But where does that leave Mercedes Benz? Besides the AMG line of performance cars, Mercedes seriously lacks a car that rivals the S3 and S4 in terms of price. Sure, you could purchase a 6-10 year old W204 C63, which personally was my favorite generation of the C-Class, but a newer B8 S4 is a more appealing option thanks to an AWD system and a list of modifications that can be done immediately to personalize the car. On paper the CLA 45 AMG seems like a good option, but ask any car enthusiast and their initial response is, “it’s not a real AMG”. If we’re looking at this purely from a young person’s perspective, there’s very little to choose from to bring in millennials and establish a new generation of Mercedes Benz consumers. But the issue isn’t that simple, and this goes beyond car enthusiasts, performance cars, and AMG. 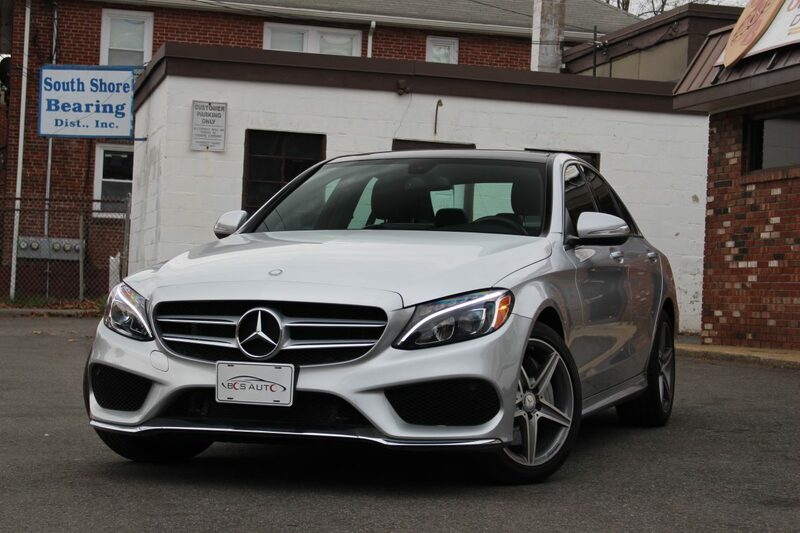 Starting around the 2014/2015 model year, Mercedes Benz made significant changes to their lineup, slowly making the C-Class, E-Class, and S-Cass resemble each other. Last year I did a review of a 2015 C300 4Matic, and even back then the interior styling was very reminiscent to the S-Class. Prior to the W205 generation, the C-Class had it’s own unique look, and the same could be said for the E-Class. Today, the entire sedan lineup for Mercedes Benz looks outdated despite the minor facelifts each model has received over the last three years, and this is most likely magnified because they almost look identical except for size and some design cues. There’s no denying that we’re experiencing an era of styling redundancy in the automotive industry, but Mercedes Benz is arguably first in line when we talk about similarities across the board for interior and exterior appearances. Right now younger consumers are gravitating towards VW, Audi, and BMW even if they’re not purchasing S3 and S4’s or M3’s. This may be due to the older cars from these brands that are available to them, and as they start working, they’re trading up to a newer 3 Series or A4. Another indication that Mercedes is becoming an old person brand is that 20-30 year old car enthusiasts are more apt to purchase a BMW 340i over a C43 AMG despite a discrepancy in horsepower and torque figures. Whether this has anything to do with, “it’s not a real AMG” or not, Mercedes Benz just isn’t drawing interest by millennials for their consumer vehicles, and the only enthusiasm young drivers have towards Mercedes is for the C63, E63, and AMG GT which is well out of reach for them financially. What’s even more alarming is the bloodbath Mercedes is experiencing when it comes to sales. So far this year, they’re down 14% and in the month of August, sales dropped 26% from July. 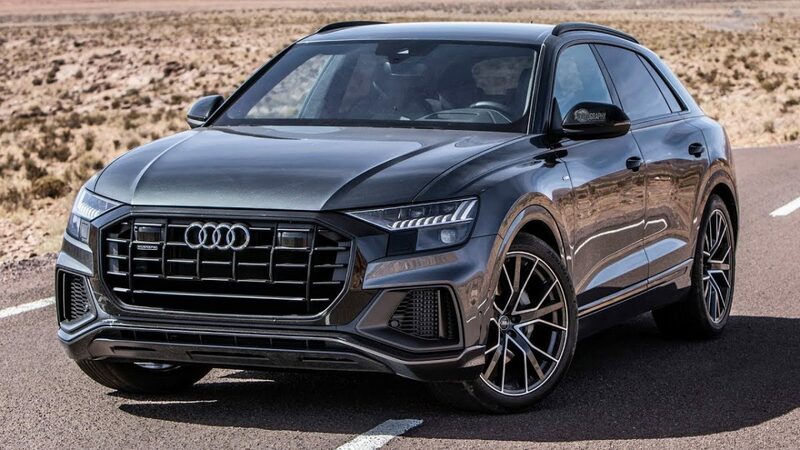 Meanwhile, Audi and BMW are still experiencing gains, further backing up the observations that there’s been a shift in buying behavior, and a lot of that has to do with Mercedes Benz failing to draw in young buyers. This may also be effected by the aging lineup, and as mentioned before, there hasn’t been any significant changes to the appearance of Mercedes Benz models since 2015. Needless to say, there is a transition period happening right now. The completely redesigned CLS and GLE are set to hit showrooms soon along with the all new A-Class, which should usher in new generations of other models in the near future. The real question is whether these changes will make an impact and reverse the sudden drop in sales, but more importantly attract buyers who are 40 years old or younger. Author Mike CerraPosted on October 9, 2018 Categories Automotive WorldTags Audi, Automotive, Automotive World, Autos, BMW, Cars, Mercedes Benz, Porsche, Volkswagen, Volkswagen GTILeave a comment on Is Mercedes Benz Becoming An “Old Person” Brand Again?